Vauxhall is changing fast. New homes, cleaner and greener open spaces, new art galleries and improved transport links are on their way. But the area’s past will not be forgotten. Vauxhall has always been the heart of London’s leisure scene with the Pleasure Gardens the major London attraction in the 18th century through to today’s thriving clubbing culture. With art galleries and rejuvenated parks opening, the area is attracting more and more visitors, and a new artwork is being installed to mark the relationship between past and present. Using Section 106 money for public art, Lambeth Council commissioned artist Paola Piglia to produced two sculptures to go on top of 18m cement columns at the entrance to Vauxhall Pleasure Gardens. The new artwork depicts the figures of a lady in 18th century garb being offered a flower from a young man from the present-day. 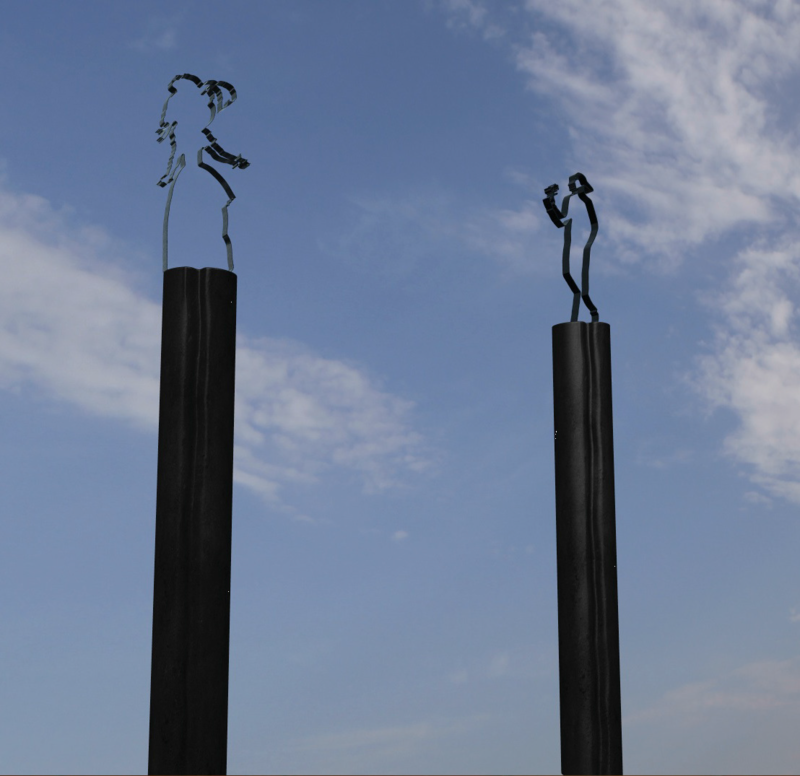 The steel sculptures show a representation of a silent conversation between the past and present in Vauxhall Pleasure Gardens. Ready to unveil the sculptures this week, Cllr Jane Edbrooke, cabinet member for Neighbourhoods, said: “These beautiful pieces of art are a perfect representation of the new and the old, recognising what a wonderful place the original Vauxhall was and the exciting times ahead. Artist Damian Hirst will open his Newport Street Gallery in Vauxhall in October and the Cabinet Gallery is currently under construction in the Pleasure Gardens.